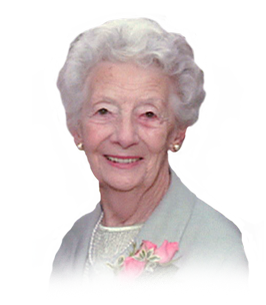 Passed away peacefully with her beloved sons by her side on March 2, 2019 at 94 years of age. Predeceased by her husband John (1984) and her brother John Smith (1995). Daughter of the late Norman and Elsie Smith of England. Cherished mother of David (Jan) and Duncan (Bonnie). Loving sister-in-law of Joyce Smith and aunt of Karen Smith (Don). Dear step-grandmother of Paul (Tanys), Frederick (Kate), Stacey and great step-grandmother of Zachary, Esme, Fiona and Stellan. Dear friend of Muriel Tadgell, Anne Wise and the late Dorie Tilander. Elsie will be sadly missed by her extended family in Bermuda: Virginia (the late Eddie) Whayman, Peter and Donna Exell, Andrew (and Aidan) Exell, Kelly Exell (Eric Krueger), Logan and Shane Krueger, her extended family in Windsor: Wayne and Sandy Boughner and Neil and Debbie Smaller as well as her special niece Gaynor and extended family in England. Special thank you to Dr. Lawrence Aoun and the nurses of 7 West at Ouellette Campus as well as Dr. Kouslai Naidoo and the entire staff at Devonshire Retirement Residence. If you so desire, donations to Windsor & Essex County Humane Society or the Downtown Mission would be appreciated by the family. Visitation March 7, 2019 from 5-8 p.m. at Families First 3260 Dougall Ave. South Windsor, 519-969-5841.